Doreen Patricia (“Pat”) Catherwood, 83, of Gibsons, BC died January 10, 2019. Pat, the loving wife of Gordon Arthur Bligh Catherwood passed away peacefully at home in Gibsons. Pat is preceded in death by her father Arthur “Jack” and mother Ivy. 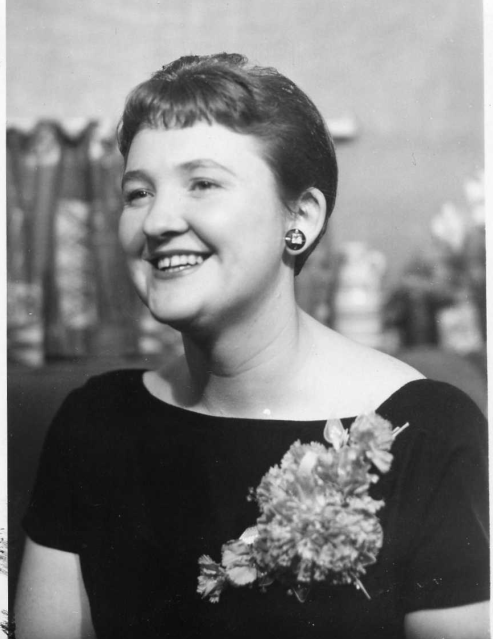 She is survived by and will be missed by her husband Gordon; sister Jackie Mills of Okanagan Falls; daughter, Janet Martyn (Ed) of Cumberland; and son, Geoff Catherwood (Greta) of Vancouver. She is also survived by five grandchildren and four great-grandchildren. Pat was born on April 6, 1935 in Kelvington, Saskatchewan. She grew up in Mission City, BC, where she attended Mission Secondary and originally met her husband Gordon in grade 7. After attending Normal School, Pat became an elementary school teacher and completed additional education courses at UBC. She put her career on hold to raise her two children and a number of foster children. After her children were grown, she returned to UBC to complete her Bachelor of Education degree. A life-long lover of music and the theatre, Pat, performed with many choral groups over the years, most recently with the Pender Harbour Choir, Sass Penders Choir and the Suncoast Phoenix Community Choir. She loved scrabble, reading, cooking for family and friends and watching her grandchildren and great-grandchildren develop. She will also be remembered for her great sense of humour. She will be greatly missed by her family and friends. Our profound thanks go out to the paramedics and firefighters that worked so valiantly to try to revive her. A memorial will be held on February 23, 2019 at The Royal Canadian Legion in Sechelt at 2 PM. In lieu of flowers, donations can be made in her memory to either World Vision (www.worldvision.ca) or to the Good Samaritan Society (https://gss.org - Christenson Village ).